L & M Compressor has developed a family of Grizzly Compressor Systems for OEM Packagers and Distributors. 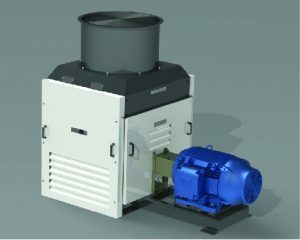 It’s a vertical design, available in open frame or fully enclosed with compressors from 7.5hp (5.6kW) to 30hp (22.4kW). Cooling and serviceability were top priorities. The Open Frame Compressor System is the Quietest on the Market. 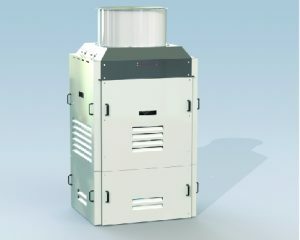 Single phase, 15hp (11kW) to 30hp (22.4kW) models are also offered. 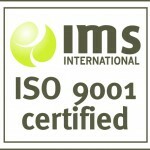 It is designed to UL standards. For the OEM Packagers, it is offered in various configurations from fully functional Compressor Systems to basic Compressor Systems without electronics, motor, pulleys, filters, final separator and auto drain silent collector system. Distributors now have a fully functional Compressor Systems that is cost completive with features, reliability and serviceability that is unmatched in the industry. 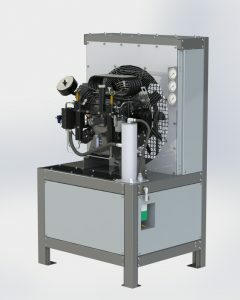 L & M Compressor has developed a family of Industrial Compressor Systems for OEM Packagers and Distributors. Some of the more popular gases include, natural, hydrogen, nitrogen and, helium. It’s available in vertical or horizontal frames, direct drive, 40hp (30kW) or more and belt driven 50hp (37.3kW) or less. 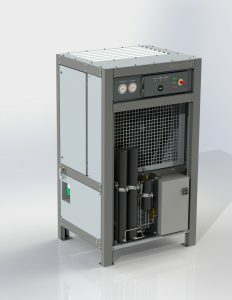 These fully enclosed Industrial Gas Compressor Systems are available with compressors from 7.5hp (5.6kW) to 75hp (56kW). L&M Compressor LLC offers world class, high-caliber, compressor pumps and parts. Our focus is serviceable, reliable, in stock, compressors accompanied by outstanding customer service. 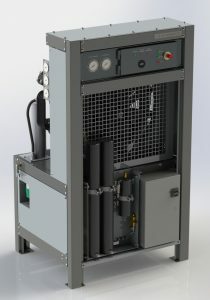 Our 5 cylinder-3, 4 & 5 stage, 550 to 7500 PSI block design incorporates the ultimate in long life, low speed, cool running temperatures, low noise, oil pump lubricated, high efficiency with reduced heat, latest technology in valve and ring design, and the easiest compressor for a technician to work on. L&M Compressors are Engineered and built in the United States. L & M Compressor, LLC. 5800 SW 25th St.Suite 100. © Copyright 2014 LM Compressor LLC.